"I am 65 years young and have had back issues since my mid twenties. 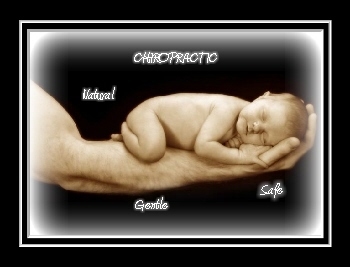 Out of all the Chiropractors through the years, Dr. John F. Taylor is by far the best! And believe me, I've been to many. 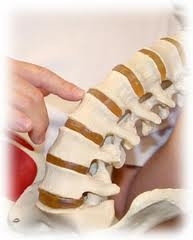 Some of these chiropractors refused to treat me further as I was becoming a risk for them. Well, here I am, standing straight, out of pain and even taking horseback riding lessons!! I recommend Dr. John F. Taylor with no reservations and with total confidence!!" Rosemarie C.
"Dr. John has been treating our entire family for quite a while now and we LOVE him! It all started when I slept on my neck wrong and was in horrible pain. Dr. John patiently explained my x-rays and showed me how my body with his help could be fixed in time. With a history of migraines, I was excited to see results. And I have not had ONE migraine since I've been seeing Dr. John! As my children grow, he's been able to adjust them and make growing a lot less painful. 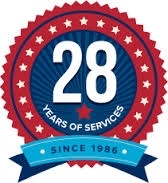 Thank you for everything Dr. John and your awesome, friendly staff!" AJ. J. "Dr. John is extremely gentle and can handle most anything! I had pulled my leg muscle and couldn't walk. He adjusted it, and I felt almost healed immediately. He is careful and will make you feel better." Andrea G.
"Dr. John is very caring for your experience. He also is gentle and kind. So I hope you recommend him. He is awesome! It feels great! He helps you relax and makes you feel better. Sit back, relax and enjoy. Clair G.
"When I retired from chiropractic practice and moved to El Dorado County, one of my initial concerns was to locate someone who used the same adjusting techniques as me. I was referred to John Taylor. 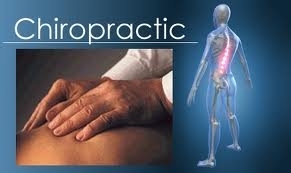 Now whenever I am asked for a referral for chiropractic care I readily refer them to him. I have come to view him over the years as a role model because of his overall knowledge, technical skills and his case management. It is chiropractors like him who represent how beneficial our profession is and how necessary to aid in the restoration and maintenance of our health through our lifetime." "When I first came to see Dr. Cliff, I had an auto accident one week prior. I was suffering from debilitating headaches and was short tempered and irritable. I was in so much pain, I even snapped at Katherine the receptionist! Dr. Cliff had been recommended to me by my best firend Madonna. He had helped her immensely and I hoped he would do the same for me. After just one adjustment, my headache was gone and I could see clearly again. My irritability melted away and I apologized to Katherine. With regular adjustments, my outlook on life is now brighter, happier, no short temper, no headaches, no back spasms and much better range of motion in my neck! I feel I owe my life to Dr. Cliff and the Gonstead Method!" Claudia S.
"I have met personally with Dr. Deb a few times and have shared many emails with her. She always goes far above and beyond in her service and support and I am very pleased. I have had the ionic foot detox a couple of time and she is always very informative, educational, and helpful. She knows what she's talking about and the herbal remedies I have purchased from her have been excellent. I have recommended her to all my friends." Peggy G.
"My experience as a patient of Dr. Deb's has been wonderful. From the first time she saw me on February 21, 2008, she was able to accurately describe my health problems without any prior health history or discussion. She has a vast knowledge of herbs which allow her to tailor a treatment specifically for you needs. I really like the fact that she has her own herbs and I trust the quality of her products more than what you buy in the store. Dr. Deb helped me through a time when I was very worried about a health issue, and her thorough explanations of how she viewed the problem, her suggestions as to what to do about it and most of all her humor is helping me laugh through it all were invaluable. I don't know any other practitioner who would have taken the time and done the extra gestures of caring that she has done for me. From spending a good deal time with her, I also know that my experience with her was not unique to me, she takes the same personal interest in all of her patients. She is very accessible and responds rapidly to any health question with a lot of information from her vast store of health materials. Each herb she prescribes is accompanied by an easy to understand reference sheet. Dr. Deb has a strong background in both allopathic and holistic medicine and this combination enables her to give her patients a very comprehensive overview of their medical situation. My husband and I both have a medical and holistic background, and we were totally impressed with Dr. Deb's knowledge on our first visit with her and remain that way to this day. I am grateful that I have the privilege of being one of her patients. Barbara P.